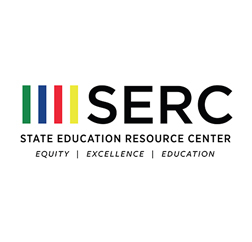 The 4th annual conference on Dismantling Systemic Racism, sponsored by the State Education Resource Center (SERC) in collaboration with the SERC Foundation, focuses on ways to support, promote, and develop racial equity in education. The full-day conference supports educators, families, and community leaders who seek to confront racist structures and practices to better serve Connecticut’s students and their families, through advocacy and the development, implementation, and sustainability of innovative, culturally relevant programming. For content questions, please contact Janet N. Y. Zarchen, SERC, (860) 632-1485 ext. 376 or zarchen@ctserc.org. For registration questions, please contact Heather Dawes, SERC, (860) 632-1485, ext. 263 or dawes@ctserc.org.